The professional base to build your business themes on WordPress. 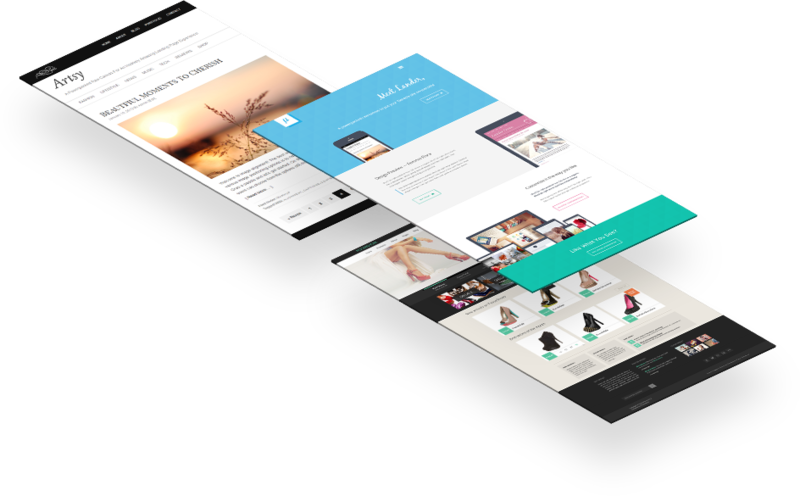 Lander allows you to build high-end designs that help your website grow and take your business to the next level. Lander is built for cutting-edge rankings and conversions and it lives up to the most demanding business requirements. Over 115 design & layout settings. Boxed & Full-Width layout options. Unlimited fonts & color settings. Turn any page into a powerful landing page with Lander Framework. Show or hide UI elements. Ability to set page specific custom menu. A line of code is an instruction etched on stone. It can’t be dragged neither will it drop or fly out elsewhere for that matter. It won’t leave you hanging… And you can always do a ctrl+z. Is Lander Right For You? I want a website that’s built on modern technologies and works on all the latest platforms. I want a site that works for my business. It allows me to tweak things without bugging my developer. It should be built for long run. I am willing to hire a developer to get the most out of my website. I think I’m a developer. I’m learning how to build themes and designs. I want to build themes that I can sell and build my web-design business. I can’t code… I hate code… I don’t wanna code. I need something that allows me to build powerful, robust, standard compliant websites. I only want to focus on developing and delivering the customer’s requirements, not on re-inventing the wheel. I want to build sites that work for the client’s business, is headache free & bring minimal support requests. I know my code and I need control. The most advanced theme framework in the world!